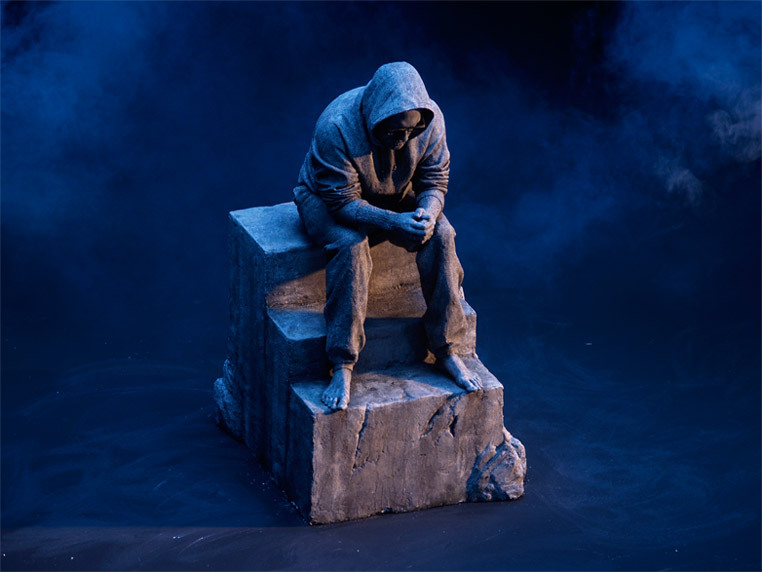 The team behind the renowned and highly successful German rap-star, Sido, invited Andrew Sinclair to Berlin to create a life-size sculpture of the recording artist. 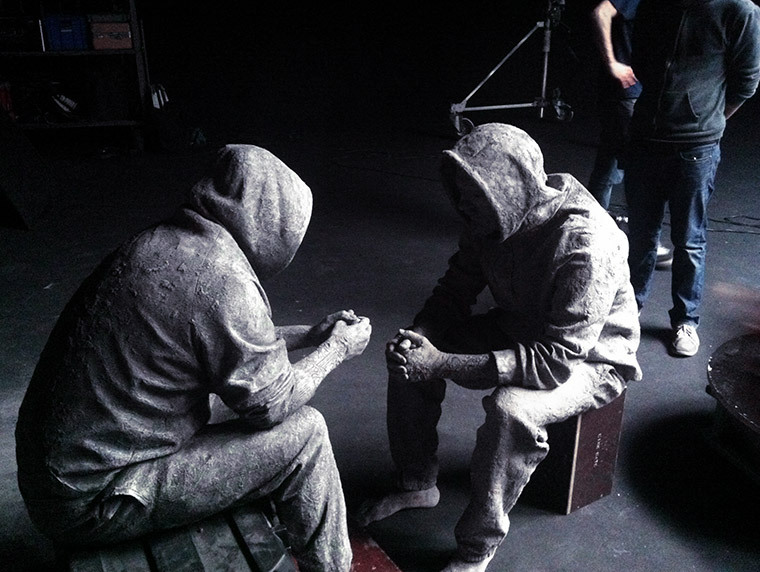 The sculpture was to play a key part in the video supporting Sido’s release of ‘Einer Dieser Steine’. 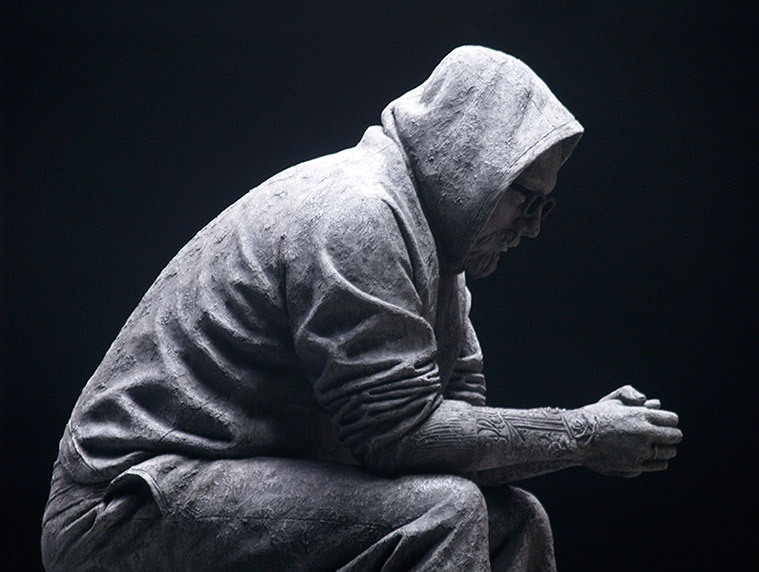 Andrew was commissioned by the team because they were aware of his reputation for creating Contemporary Realist sculptures to tight deadlines. Andrew met Sido for the first time within hours of landing in Berlin. 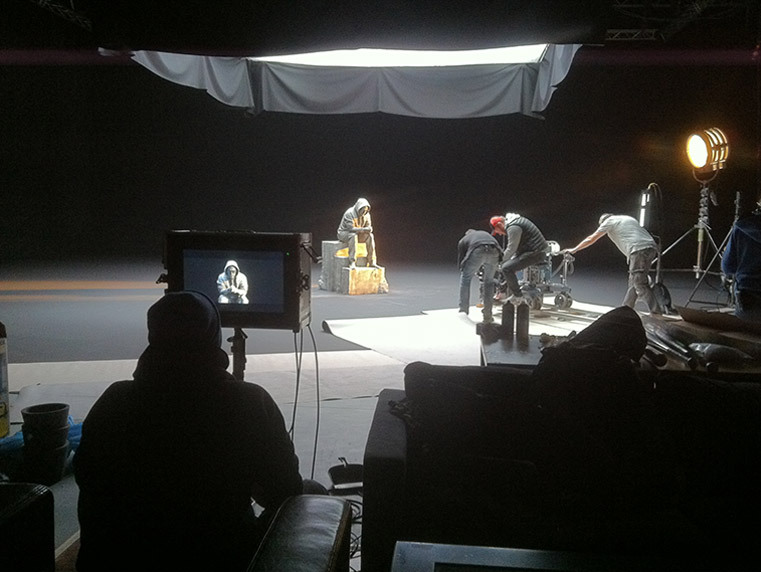 It was critical that a true likeness was to be created by Andrew as the music video was to include both Sido and his sculpture. Andrew’s skills and his innovative sculpting expertise enabled him to create a perfect replica in just five days. The resulting video has gone on to achieve in excess of an amazing 45 million hits on YouTube.